Hello, Kathi here to share with you a12 x 12 layout using PowderPuff Chalk Inks and stamps. I started by choosing my paper. I used paper line "Adventures Awaits". Full view; 12 x 12 page. 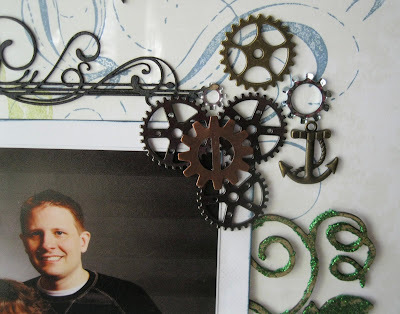 Embellishments - gears, charms, chipboards Was placed on with Glossy accents. 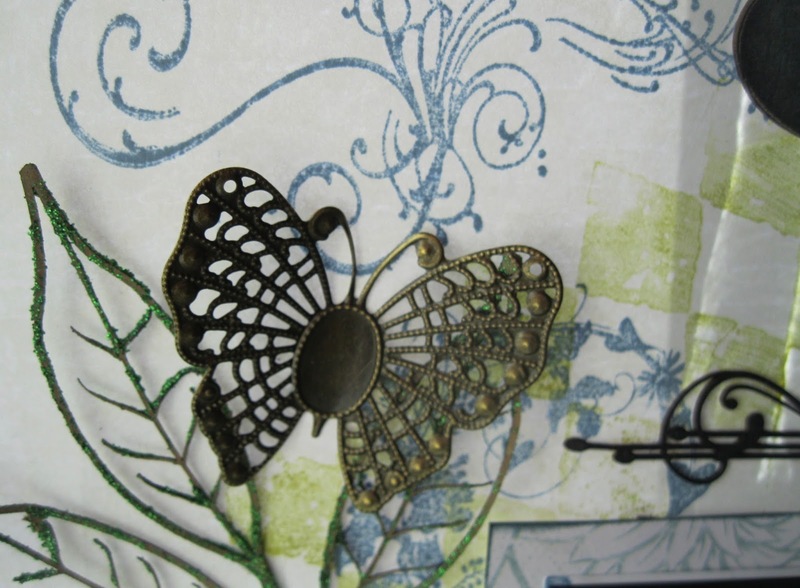 The chipboard I used PowderPuff Chalk Ink in Light Moss, then applied glitter paste over the Chalking Ink. Embellishment is a large metal key. I used PowderPuff Chalking Inks in Light Moss and Navy, stamping with several stamps, Light moss was used with a diamond stamp, Navy was used with two different flourish stamps. chalking ink was also used on the chipboard. 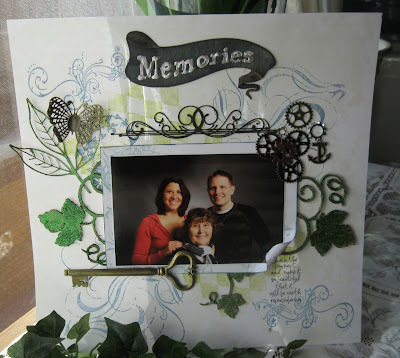 Flourish and Memories chipboard and was colored with Royal Blue PowderPuff Chalk Ink and outlined with a sugar liquid pearl accent. The memories chipboard was chalked with Royal Blue, the letters where outline with sugar pearlescent. I used PowderPuff Chalking Ink and glitter paste on the leaves and flourish then stamped a sentiment to the bottom right of the photo Play with any stamps and chalking inks, it can add additional dimension to your project. Great layout Kathi! Love the little curl of the photo mat where you added the journaling.